Treebraids Client From Maryland Sent Me Pics in NJ! 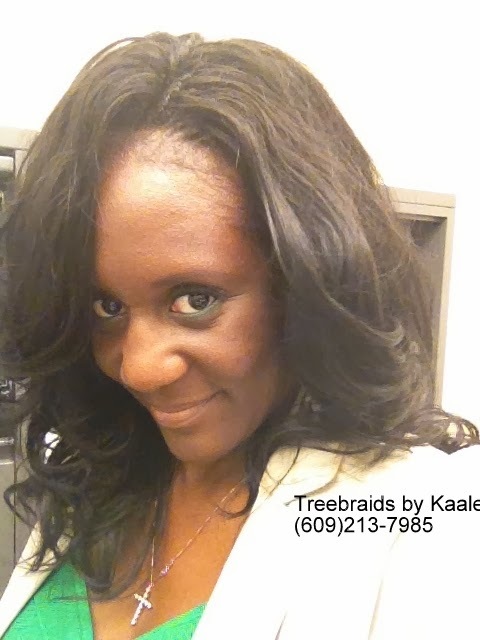 Treebraids client from Maryland sent me pics during lunch time- please enjoy! 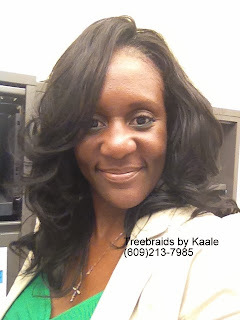 Treebraids by Kaale installed Small size cornrow treebraids. 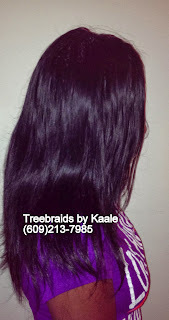 We used our propritary '4 rotations traditional cornrow treebraid' technique. There is just enough cornrow but not a whole line of cornrows. 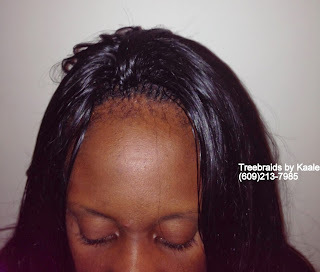 Just enough for everyone to know that this is not a weave. 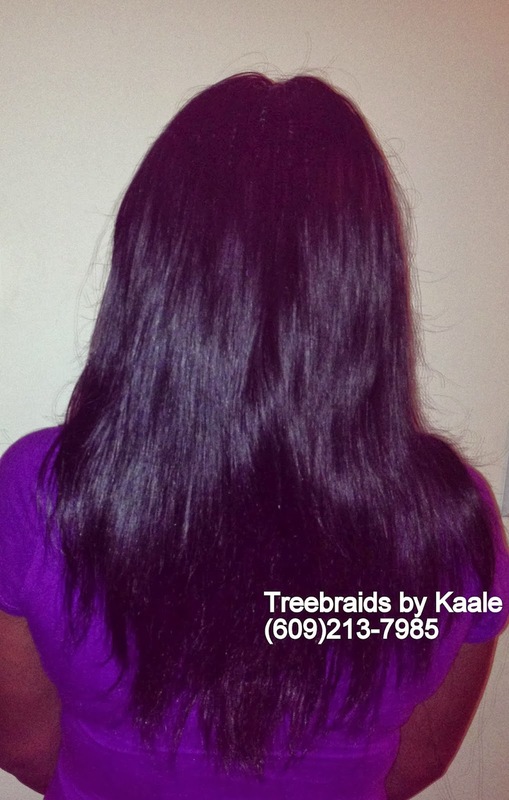 Hair is unprocessed remy hair in 3 bundles. 18" can easily be used to achieve this style otherwise if 20" is used you may end up folding it. 18" will also give this volume of hair. If 20" or longer is desired you get that extra length alright, but the volume is a little less because remy hair is sold by the ounce, usually in 4 ounces per bundle. 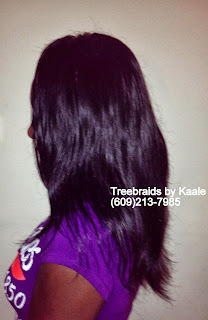 Get 4 bundles for the same volume and longer length than my clients remy hair. This is one of my high end clients: she does have a very busy, hectic project management position that requires ALL her focus on her work and her team. No room for minutes in the bathroom regrooming her hair. She reports that her confidence level as a direct result of this beautiful treebraids style combined with this virtually maintenance free virgin remy Brazilian hair has increased productivity- its through the roof! 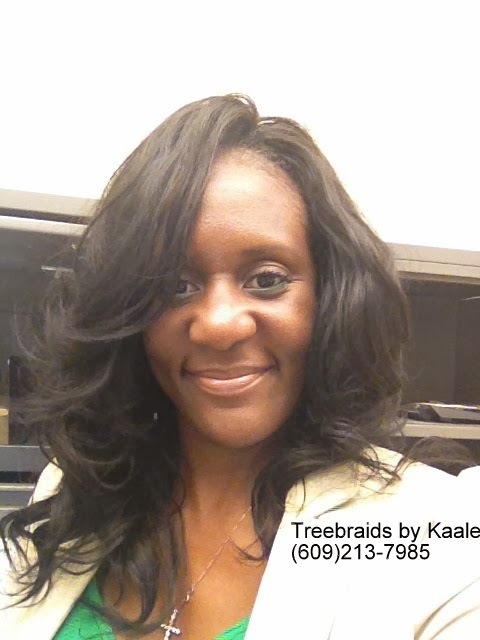 Help me to congratulate her on her two promotions this year- ever since getting her treebraids with me. So stick with me- and we are going places together ladies! Above all she has an amazing personality and also loves people. This is what Natural Straight virgin Brazilian hair should look like. 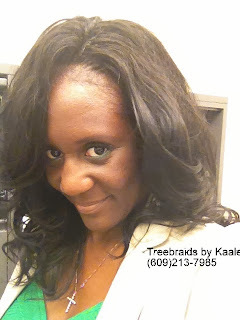 It can be curled, straightened, washed and reused over and over again. This hair never stops! No throwing away of hair! After each install spray bottle of water and light cream leave in conditioner all the way to the tips, then a quick comb is all that is needed.